Wall Street is finally getting some straight talk on the law. A U.S. appeals court on Tuesday reversed former Jefferies trader Jesse Litvak’s fraud conviction, saying his fibs may not have swayed investors. The same court has smacked prosecutors for stretching fuzzy rules to nail insider traders and former Goldman Sachs computer programmer Sergey Aleynikov. Brighter legal lines should help deter misconduct. Litvak exaggerated how much sellers wanted for their mortgage-backed securities and understated what buyers would pay, thereby padding his compensation and Jefferies’ fees. He argued that customers were wise to his tricks, so actual prices weren’t affected. A jury last year disagreed and, since the federal government backed some of the securities, he was hit with a two-year prison sentence and an almost $2 million fine in part for defrauding Uncle Sam. The appeals court ruled, however, that the feds were far too sophisticated to be fooled, though other investors might have been taken in. The judges also said a lower court should not have excluded expert testimony suggesting that Litvak’s tactics were customary in the industry. The trader will be able to offer that evidence at a new trial. The ruling makes clear that acting like a used-car salesman isn’t necessarily illegal on Wall Street. It’s akin to other recent decisions that reduced the legal gray areas prosecutors had been exploiting in insider-trading and computer-theft cases. In 2014, for example, the appeals court said traders weren’t guilty of illegal dealings if they didn’t know whether the original sources of confidential information were compensated for their tips. Lower courts had disagreed on the issue, creating widespread uncertainty. Likewise, Aleynikov was facing a federal prison term for absconding with Goldman’s high-frequency trading code – until the court explained in 2012 that his behavior wasn’t a federal crime. There may be nothing admirable about treating investors or computer code carelessly, but it’s also not obviously criminal. The clarity that courts can provide about actions like Litvak’s is helpful. If the government expects bankers and others to play by the rules, they deserve to know what really is and isn’t allowed. 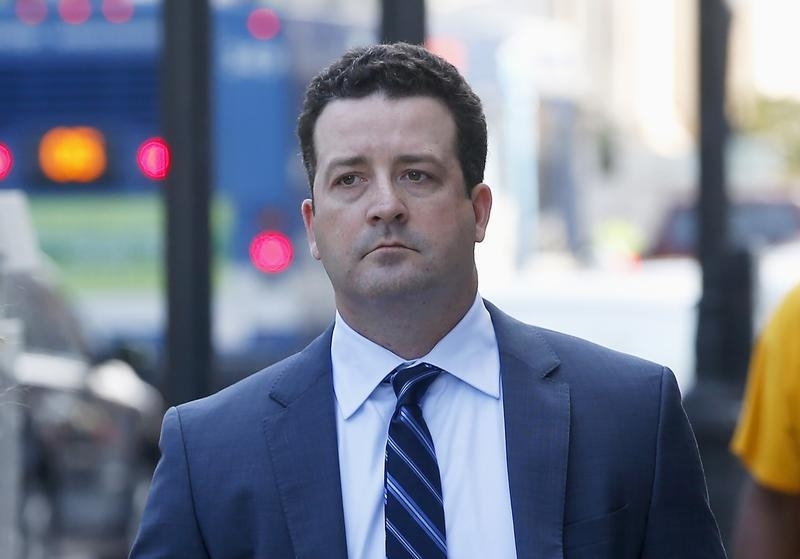 A U.S. Court of Appeals on Dec. 8 overturned the conviction of former Jefferies trader Jesse Litvak on charges of lying to investors about mortgage-bond prices, but ordered a retrial on some counts. Litvak was found guilty in March 2014 of overstating the price that sellers wanted for mortgage-backed securities and understating what buyers would pay, thereby increasing his fees and those of Jefferies. The U.S. Troubled Asset Relief Program helped back investments in some of the distressed securities, leading to his conviction on the additional charge of defrauding TARP. The three-judge panel ruled unanimously that there was no evidence the U.S. government was actually misled by Litvak’s statements. The court also ruled that the lower court should have allowed expert testimony on whether private investors relied on his misrepresentations and ordered a new trial on 10 securities-fraud charges involving those statements.